If you are a computer gamer who’s looking for a computer eyewear to protect your eyesight from strain and early deterioration, you are in the right place. We offer a wide array of Gunnar glasses that will definitely suit your needs and style. Gunnar Optiks is a well-known and reputable specialized eyeglasses manufacturer who has partnered with reputable lense makers to configure, design and manufacture the most advanced and high tech computer eyewear in the market today. It all started in the small garage in one of the co-founder’s home – Jenny Michelsen. When her husband started suffering from headaches brought by Computer Vision Syndrome (CVS) or digital eye fatigue, Jenny started to worry. With the help of the former Oakley engineer – Joe Croft (another co-founder of Gunnar), Jenny and her husband were able to design an eyeglasses prototype that protects the eye from the harmful glares and blue light that most computers emit. Gunnar computer lenses are designed to deflect the harmful blue lights that computers and other digital equipment emit. It uses a technology that enhance the focus of the eyes while increasing the contrast and establishing the comfort of the user. All Gunnars computer glasses use the i-AMP lens technology which enhance the the user’s eyesight without impairing or lowering down the quality of vision. In fact, it does the complete opposite. While the lenses are coated with yellow tint, these computer lenses increase the contrast of the images projected by the computer screen, therefore creating a better image without the need for the eyes to exert too much effort that causes eyestrain. Gunnar Optiks provide several eyeglasses options for different usage and lifestyle. If you use your computers and other digital equipment like tables and HD TV’s the Advanced Computer Eyewear is for you. This style features the GUNNAR i-AMP technology in two different options – amber and crystalline. The Crystalline style is best for individuals who work on projects that require them to focus on high color spectrum. While the amber lense are best for individuals who work on their computer for several hours a day doing several tasks in different program environment at the same time. If you are a gamer, the Advanced Gaming Eyewear is for you. This style features the same i-AMP technology that is present on their Advanced Computer eyewear. The type of computer lenses and frames it uses are light weight and are designed for comfort, visual efficacy and recovery. If you love the outdoors, GUNNARS also provide the best eyewear for individuals like you. Their Advanced Outdoor Eyewear come in two tints. Gradient Grey Lens Tint, which are best for highly lit environments and Gradient Gold Lens Tint for those in an environment which are not that bright. The Gradient Gold Lens Tint are best for drivers and pilots. If you are a 3D designer or if you have a computer that comes with 3D feature, Gunnars also offers computer eyewear designs that provide better eye protection than generic 3D glasses in the market today. Their Premium 3D Eyewear line comes in three choices which are Good 3D Experience, Better 3D Experience and Best 3D Experience. These options are for light, moderate and heavy 3D screen users. With no matter what your lifestyle and needs are. Gunnar Optiks provide you with outdoor and computer eyewear choices. 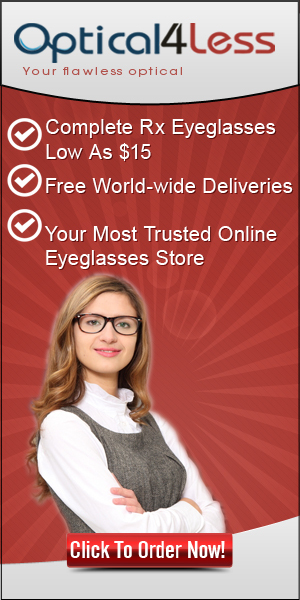 All of their glasses are prescription compatible for those who need eyeglasses that are in certain grades. Their prescription eyewear features lenses from Carl Zeiss Vision and are optimized with the Gunnar technology.